The Gastric Sleeve Surgery or Vertical Gastric Sleeve is one of the most popular weight loss surgeries practiced in Mexico and Worldwide, its effectiveness and affordability have made this procedure the preferred options for people that have struggled with weight problems all their life’s and haven’t been successful with diets or exercise. The Gastric Sleeve Surgery permanently reduces the patient’s stomach approximately 80% of its current size in order to minimize the food storage capacity, removing the portion of the stomach that is responsible for the production of The Ghrelin hormone or “hunger hormone”, which in turn will reduce the patient’s appetite and allow for quicker and more effective weight loss. Its important to understand that the stomach reduction varies by patient and that like all weight loss surgeries, requires patient commitment to proper diet and regular exercise post-surgery in order to keep the weight off for long-term. Why have a gastric sleeve surgery over some of the other weight-loss surgery options? The gastric sleeve surgery is a permanent solution in which complication rates historically have been less than other weight loss procedure and are the most effective weight loss solution for patients struggling with extreme obesity problems most of their life’s. Will the weight stay off after my gastric sleeve surgery? Gastric sleeve surgery is the safest option for keeping the weight loss after surgery do to its permanent nature, however it also requires that the patient can change their diet regimen and commit to regular exercise in order to keep the weight loss in the long term so like all weight loss surgeries, the long term success will rely on the patients commitment to a healthier lifestyle. *Weight-loss surgery results vary from patient-to-patient and like all surgeries, there cannot be any guarantee of specific weight-loss or that the patient will keep the weight off without following post-surgery diet regimen and regular exercise. 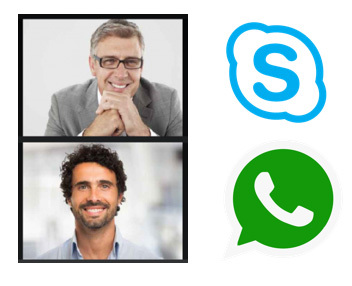 Who will be performing my gastric sleeve surgery and what are their credentials? The Gastric Sleeve surgery in Mexico is performed by our certified surgeons Dr. Pablo Fok Russell lead surgeons and Dr. Andres Corona, both seasoned weight-loss surgeons for over 10 years, with extensive academic record and training in both the United States and Mexico. Learn more about our certified weight-loss surgeons team here. How safe is Russald Medical's gastric sleeve surgery in Tijuana, Mexico? Safety is our top priority at Russald Medical, we invest heavily in continuous training for our of certified weight-loss surgeons who are all board certified surgeons by specialty and have at least 8 years experience practicing weight-loss surgeries. Additionally we are a BBB certified facility who cares deeply about our patients safety, trustworthiness, transparency, responsiveness, and overall great experience. 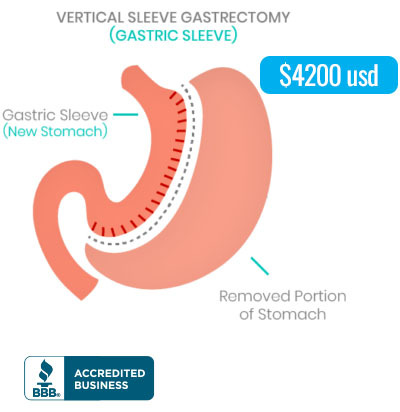 What is the price of Gastric Sleeve Surgery in Mexico with Russald Medical?